Kris Aquino: 'The reason you haven’t seen me post new pics is because I lost weight in the last 6 weeks, unable to eat or sleep properly. 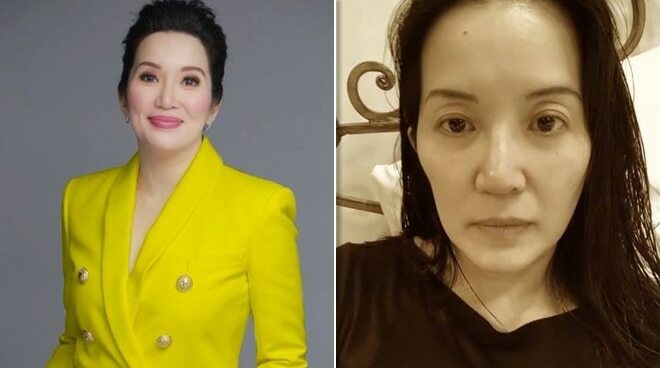 Kris Aquino opened up via social media on Saturday that she has experienced "financial abused and betrayal" from someone she put her trust on. In a new Instagram post, the host confessed that what happened made her feel broken. Kris also revealed that her health has been affected because of her current ordeal. "The reason you haven’t seen me post new pics is because I lost weight in the last 6 weeks, unable to eat or sleep properly. You told me that you admired my strength - natakot akong baka mawala ang bilib nyo sa kin because I am now broken. But I decided to set myself free & share w/ you what affected me," she stated. She added that the pain she has been feeling is rooted from the fear that she might lose the money she has set aside for her children. "My pain comes from my fear that tens of tax paid millions from my sons’ trust funds, money I conscientiously saved for them because I made a deathbed promise to my mom that Kuya Josh & Bimb will always come first, baka mawala lahat ng pinagpaguran ko para sa kanila. It is wrong that the 2 boys I LOVE most, my life's meaning & inspiration may suffer consequences because I was targeted & deceived by a person with no conscience," she said. Kris relayed that everything is now being managed by her legal team. "The settlement or legal battle will now be in the hands of lawyers I respect, auditing and accounting firms I trust, the word of honor of his deeply shamed mother & sister that all my investments shall be returned, and our collective prayer that justice for my sons will prevail," she remarked.